Large Brown Bodhrán Pack (45 cm). Includes a stick, cover and DVD tutorial. The bodhrán is a major instrument of traditional Irish music. 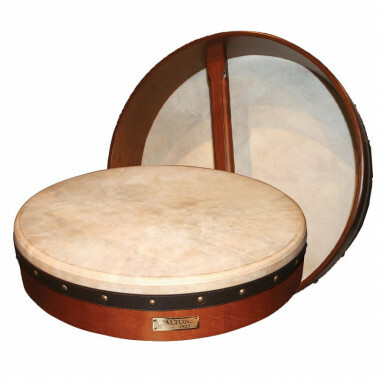 let the Irish beats of the bodhrán carry you away! The bodhránis a frame drum played with a stick derived from the Eastern "daf" drum. Available in store. Please contact our Customer Service at +33 (0)2 98 85 47 37. Wooden frame and goat skin.